Charles Lee offers over 40 years of experience in collecting and authenticating autographs. This catalogue reflects his own collecting preferences - autographs from the Golden Age of Hollywood, lovely signed vintage sepia photographs, scarce character actors, clean album pages and cards for matting with a favourite picture and unusual and difficult to find rarities. Charles is a recognised authority on Vivien Leigh and his catalogue always offers a wonderful selection of authentically signed Vivien Leigh material. This catalogue is updated with new stock and deletions on a daily basis (sometimes several times a day). Using the links on the left you may browse the catalogue by category or use the search facility to quickly find the item you are looking for. Charles is picky about quality - items generally are in very good condition indeed and any faults are carefully described in the text. A mint hardback First Edition copy of Julie Andrews' 2008 book "Home: A Memoir of My Early Years" (Hyperion Books, New York), with an excellent signature in ink on the blank second free end paper. 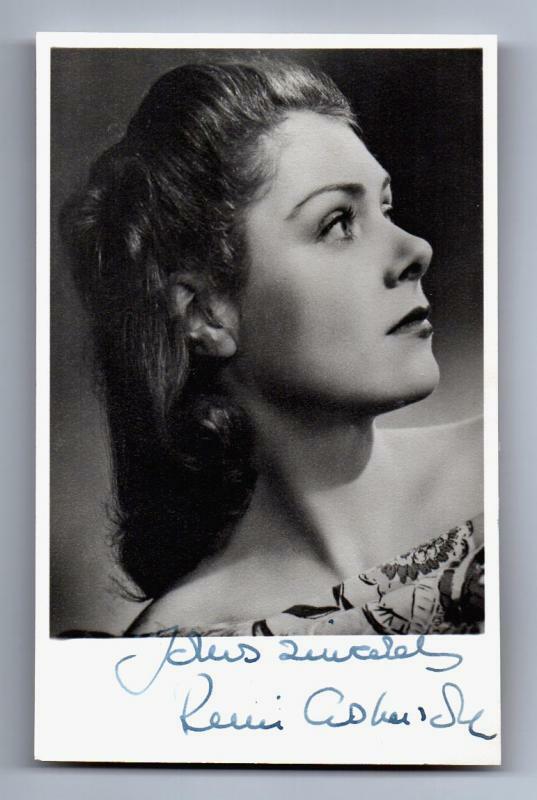 Beautiful English actress in some excellent films; wife of Robert Donat.A very pretty vintage 1940s black and white photograph (5.25" x 3.25"), nicely signed in blue fountain pen ink across the lower white panel. Exotic Hungarian silent screen star, billed as "The Hungarian Rhapsody." An exquisite early vintage sepia Ross postcard (#2081/5), clearly signed across the image in dark blue fountain pen ink. American character actress, often playing the part of a dithery, empty-headed but endearing woman, immortalised as Glinda , the Good Fairy, in the classic The Wizard of Oz (1939). 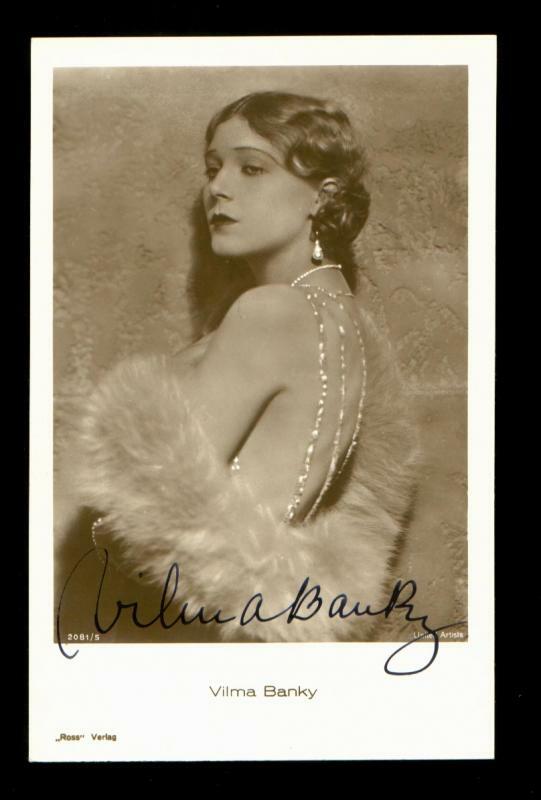 A very pretty vintage 1940s black and white photograph (5.5" x 3.5"), nicely signed in blue fountain pen ink to the lower white panel. Very fine British character actor, in some excellent films but probably most famous as the very dodgy Arthur Daley in television’s Minder series, which ran from 1979 to 1984. A wonderful original vintage black and white publicity photograph (9.25" x 7.5") of Cole in the comedy Too Many Crooks (1959), as the gang leader "Fingers", disguised as a policeman, nicely signed in period across a clear area of the image. Double Oscar-winning actress, immortalised by her portrayal of Scarlett O'Hara in Gone With The Wind (1939). 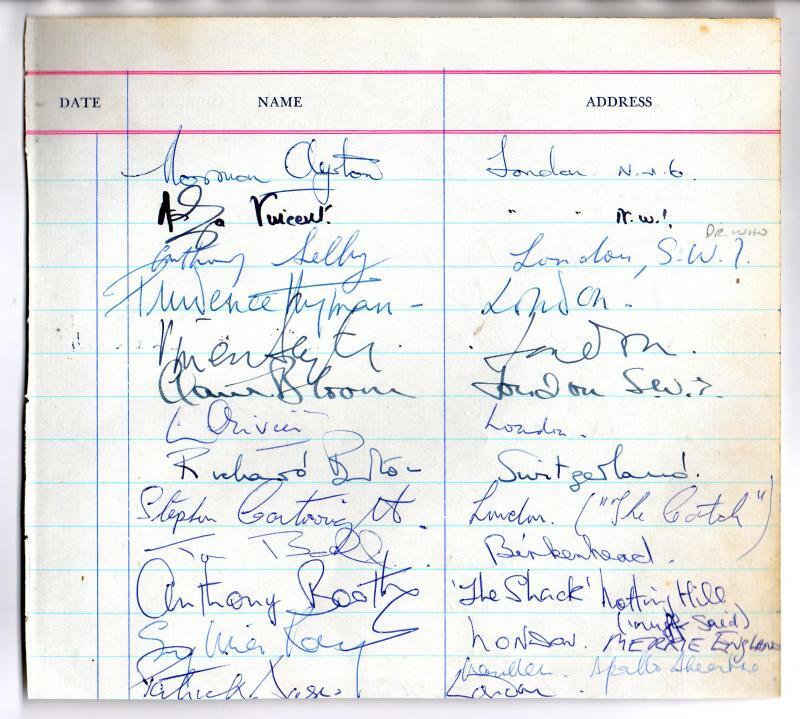 An extraordinary show business collectable - a part page cut from a wonderful visitors' book (8.5" x 8"), signed in ink on both sides by some of the biggest stars of film and television at the time, including Vivien Leigh, Claire Bloom, Laurence Olivier, Richard Burton, Denholm Elliott, Paul Massie, Tommy Cooper and Geoffrey Keen.